Ole Gunnar Solskjaer's 10th win in 12 Premier League games did not come without a scare -Manchester United trailed at the interval to Yan Valery's stunning strike and had to overcome spirited resistance when Southampton fought back to 2-2 late in the second half - but two goals from a rejuvenated Romelu Lukaku kept the revival on the road. 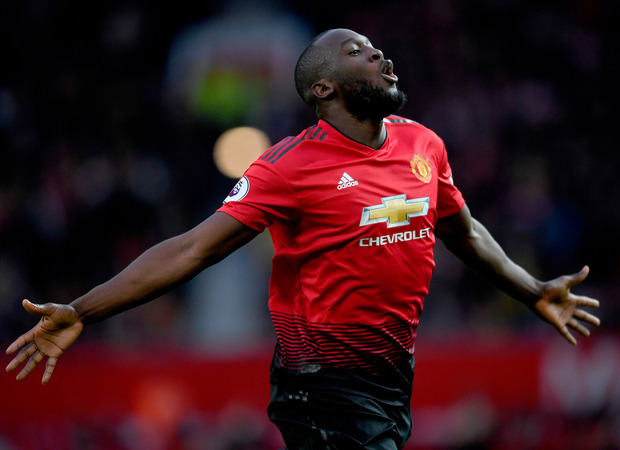 The striker supplied the winning goal in the 89th minute, and though there was still time for Paul Pogba to see a penalty saved in stoppage time, United were never two goals better than a feisty and determined Southampton. 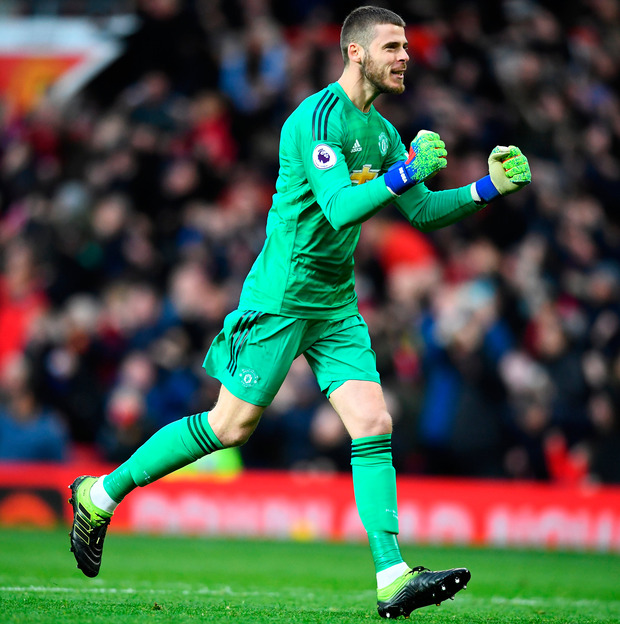 United began as if they intended to have the game wrapped up by half-time and Southampton were indebted to Angus Gunn for three saves in the first six minutes that prevented the home side from taking an early lead. 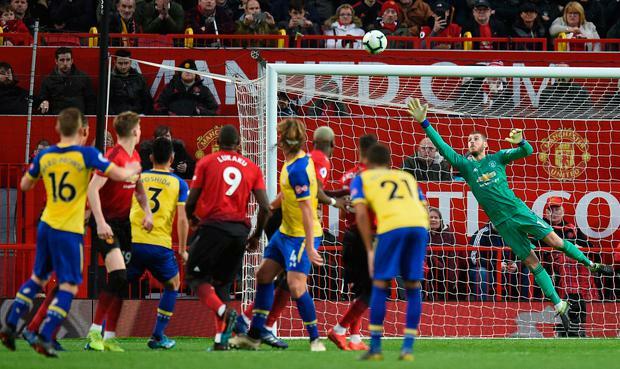 The Saints goalkeeper tipped a Lukaku shot around the post, did well to react to a cheeky attempt from distance by Andreas Pereira, and then saved at close range from Lukaku again when the striker should have scored. 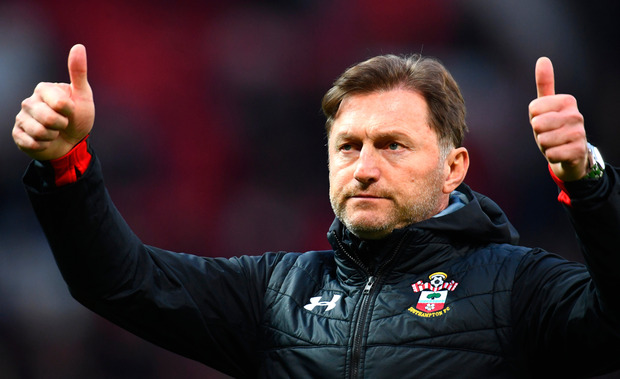 After surviving that initial onslaught Southampton began to push their opponents back and grow into the game, gradually asserting authority over a fairly callow United midfield. They could have taken the lead after 12 minutes when Jannik Vestergaard climbed unchallenged to meet a James Ward-Prowse corner and headed wastefully over the bar, and might have had a penalty when Chris Smalling got away with a blatant tug on Ryan Bertrand's shirt. The referee waved play on immediately, perhaps unconvinced by Bertrand's theatrical fall, but there was no question that the United defender had pulled him back. In an effort to break the Southampton press, Pogba made a length-of-the-field break up the left, helped by Lukaku on halfway, but held on to the ball a fraction too long for his intended target Marcus Rashford to stay onside. Pogba was possibly at fault, however, when Southampton took the lead a few minutes later; at least there was no-one in his position on the left side of midfield when Charlie Austin found Valery in miles of space. Taking advantage of Luke Shaw backing off with his hands behind his back, the Southampton wing-back advanced a couple of paces before unleashing a ferocious shot that beat David de Gea from a good five yards outside the area. The goalkeeper managed to get hands to the ball but still could not keep it out, only succeeding in pushing it into his top left corner. It was the 20-year-old's first goal in English football and he is unlikely to score a better one. At that point Southampton deserved to be in the lead, and though United applied pressure, with Pereira in particular sending in some inviting crosses, the visitors managed to stay in front until the interval. Smalling was close with a header, Gunn had to make a save at the feet of Alexis Sanchez, but Southampton were playing with great confidence and the half ended with Pierre-Emile Hojbjerg shooting straight at De Gea. When the already ineffective Sanchez departed injured five minutes in to the second half it appeared United might be struggling for an attacking replacement when full-back Diogo Dalot took his place. The opposite proved to be the case. With his first touch of the afternoon Dalot produced a cross to the far post from which Rashford should have hit the target, and with his second he teed up Pereira for the game's second goal-of-the-month contender. 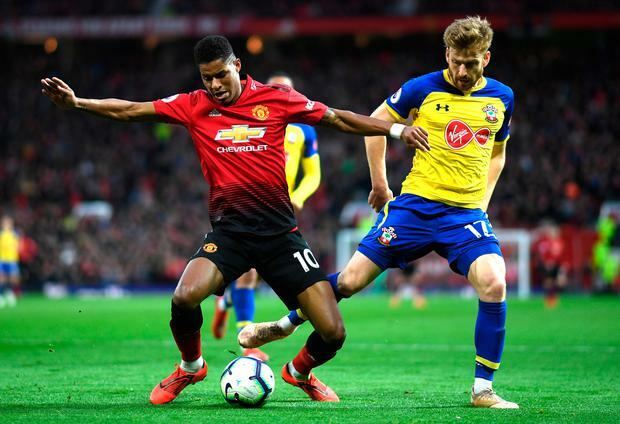 The midfielder made the most of the space he was allowed to beat Gunn with a rising shot from just outside the area to claim his first Premier League goal, but what was noticeable was that Dalot had produced more in a couple of minutes than the laboured Sanchez had managed in almost an hour. Certainly either the equaliser or the substitution seemed to perk up the home side for in another five minutes they were in front, Lukaku neatly eluding Jan Bednarek in the area to give himself room for a low shot beyond Gunn. Just for a moment it appeared United might overrun Southampton as the chances began to pile up at the Stretford End, yet though stretched the visiting defence held out until the next spectacular goal arrived courtesy of Ward-Prowse. There might have been some doubt over whether Ashley Young actually fouled Stuart Armstrong to give away a free-kick, it was more of a collision that left both players on the floor, though there was no debating the accuracy and power summoned by Ward-Prowse to beat De Gea from outside the area for a second time. Ward-Prowse got the ball over the wall and down again to leave the goalkeeper with little chance. Were points awarded for the quality of goals Southampton might not have left Old Trafford empty handed, though in reality United are always dangerous in the closing minutes of a game and the visitors paid the penalty for a late lapse of concentration when Lukaku was allowed to turn on the edge of the area to take a short pass from Fred. Credit was still due to the striker for knowing where the goal was and shooting almost immediately, and though Gunn was beaten for a third time, he did manage to keep out Pogba's stoppage-time penalty, awarded after Armstrong had fouled Rashford. A fourth goal would have been harsh on Southampton anyway. It's tough at the bottom but the Saints contributed greatly to an entertaining afternoon. Kevin Palmer Marcus Rashford offered up a scathing assessment of Manchester United's performance, as his side slipped to a 2-0 defeat against Manchester City at Old Trafford. Andy Hampson Manchester City took a potentially decisive step towards retaining their Premier League title with a vital and hard-fought 2-0 derby win over Manchester United.